In Australia a woman dies every week because of family and domestic violence. Family and domestic violence is the leading cause of death, disability and illness among women aged 15-44 years, greater than cancer or heart disease. And yet access to paid Family and Domestic Violence Leave is limited. Paid Family and Domestic Violence Leave means a woman can access support services so she can leave. It means she can attend court, doctor appointments, meet with real estate agents, change her children’s school, all without the fear of losing her job. 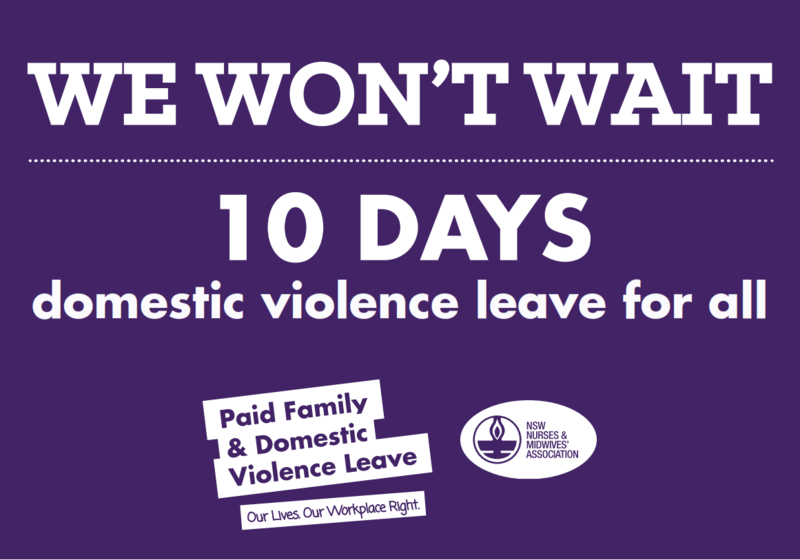 Paid Family and Domestic Violence Leave will save lives. The estimated cost of introducing a minimum 10 days’ paid Family and Domestic Violence Leave in the National Employment Standards is just five cents per day per worker. And the estimated cost of family and domestic violence to the economy is $12.6 billion per year. The Federal Government must act. We won’t wait. We can’t wait. 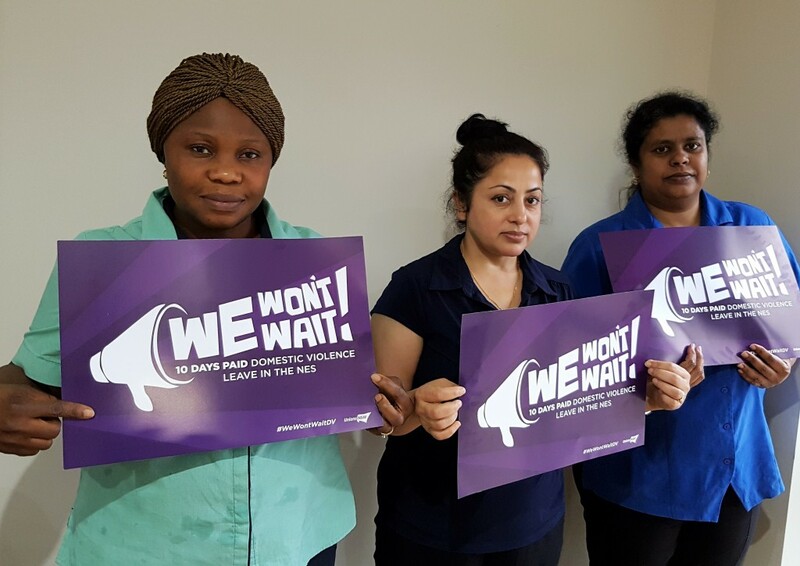 Join us in our calls to have Family Domestic Violence leave for all workers in the National Employment Standards. Take action now and sign the petition.